Telling other people what to do--there's nothing quite like it to hold you accountable to following your own advice. I realized something as I prepared to facilitate a teacher professional development meeting on formative assessment last Monday. 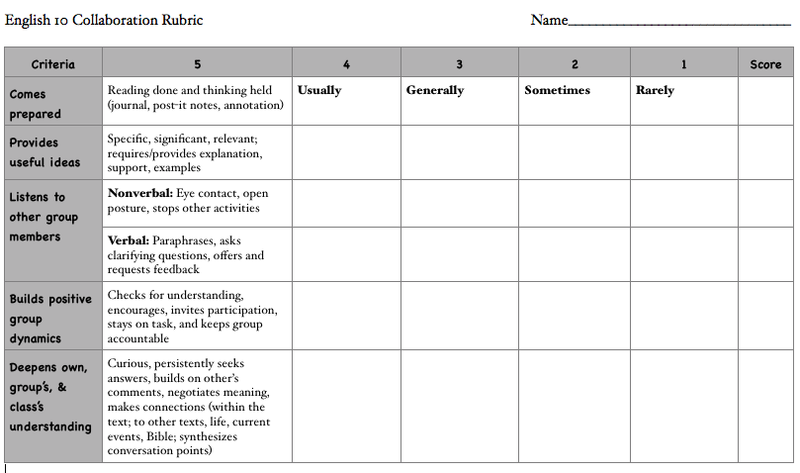 I realized that while I’d given my Honors English 10 class a rubric on small group discussion and allowed them to discuss it, to self-assess, and to set goals, I had not given them time to revisit those goals and assess how they are doing. The rubric of which we speak. Yes, I realize I'm missing criteria for 1-4. But as I've said elsewhere, something is better than nothing! What we had done with the rubric had improved discussion. Everyone was participating, and not just sharing the one thought they’d been required to record, but asking questions, making predictions, building on other people’s comments, referring to the text. 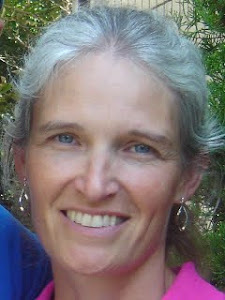 However, as I thought about grading them on that rubric, I realized (1) there were a couple of students who could improve some more and (2) the students who were doing really well needed to understand what they were doing really well—rather than simply having students celebrating, protesting, or shrugging off their grade. After all, the goal is not for me to give them a grade—it’s for them to become productive collaborators who advance their own and others’ learning in group discussion. A grade is just a way of communicating to them and to their parents how they are doing at a given point in time. But transparency of expectations, goal setting, and personal reflection are the things that will ultimately drive the growth I want to assess, and give them proactive control in their lives over influencing the groups they are part of. At this point I considered interrupting and letting them off the hook—that that line was really for personal awareness and for me, to allow me to demonstrate to a student not doing the basic work how they were failing themselves and their classmates. But then I realized that if they were aware of holding each other accountable to doing the background work, that was a real life skill—to be able to identify what makes for functional and dysfunctional groups, and to exert their influence to increase functionality. That moment when you realize that simple best practices in education—like having a rubric and using it to bring students into the formative process—actually do prepare students to impact the world. I love teaching. I love these kids. Monday I'm going to hand out that rubric in AP English 11. 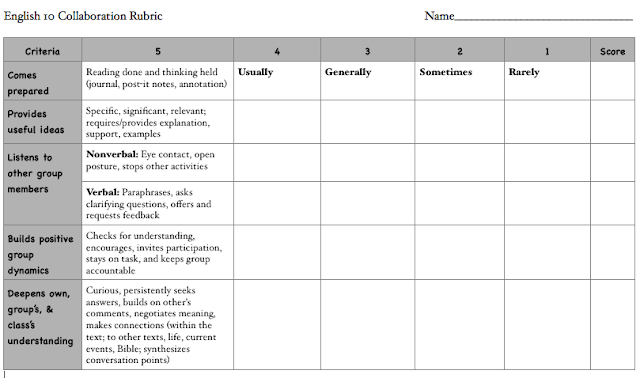 How do you use rubrics for formative assessment?